In one sense, all tea is Chinese tea, because tea originated in China. The plants and seeds were carried throughout Southeast Asia to Taiwan, Japan, Thailand, Sri Lanka, Korea, India and beyond. 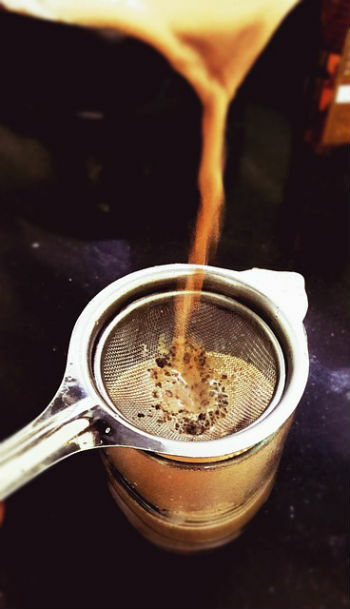 For some, Chinese tea is any tea (from anywhere) processed in the traditional Chinese manner. It can refer to black teas, Oolongs, green, white, yellow and red teas. 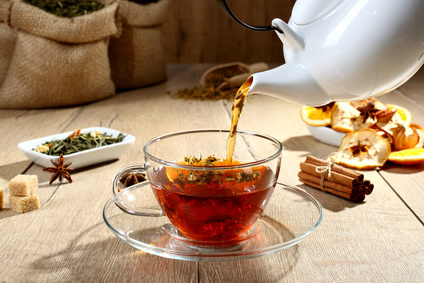 When talking about healthiest herbal tea, however, more comes into it than just the kind of tea and manner of preparation. Culture and customs bring to tea philosophy and reverence. If in other articles we’ve focused on the science of tea, However, Chinese tea emphasizes the art of tea. As we’ve learned, thousands of years ago, tea was a medicinal tonic, used specifically to treat illness and aches and pains. Over time, tea began to find favor as a fragrant and flavorful drink, then and now only second to water as the world’s favorite beverage. But along the way, tea became a way of life, incorporating the traditions of the cultures it found itself in. Tea tributes, rituals and the accessories of tea infused it with a richness and dignity beyond the quenching of thirst. During the Tang dynasty, Lu Yu, sometimes called the Sage of Tea, finished his book, The Classic of Tea. In it, he laid out the rules for tea as he saw them, for tea preparation, tea drinking, and tea pottery to be used. The Tang dynasty covered a historical period very much like Europe’s renaissance period. It was a time of great literature, poetry, science and art. Lu Yu himself was a poet and scholar and he brought that erudition to tea drinking. Lu Yu experienced the drinking of tea as spiritually uplifting. He is also credited with having invented the tea ceremony which would later figure more prominently in Japanese culture. Up to this time, tea was the province of royalty and scholars. At around the same time that Lu Yu published his famous book, the ruling Emperor began to require the tea growers to pay a “tribute” in tea to the royal family. This tea was served during celebrations and was offered to honored guests as a gesture of respect. Although tea culture suffered somewhat under the Yuan dynasty, it was restored to its former splendor under the Qing dynasty during which tea houses were introduced, a gathering place to meet and enjoy the rituals and customs of Chinese tea. Each Chinese tea requires a different preparation before drinking. Here are some guidelines for making the perfect cup of tea. Sources say the best pot for brewing green tea is a Yixing teapot, a finely crafted teapot made from Yixing clay in the eastern province of China. Other sources say that Yixing pots are considered best suited to black, oolong and aged teas, but may be used for green and white teas if the water is allowed to cool to somewhat before pouring it into the pot. Traditional Chinese teapots were meant for individual use and so were smaller than the teapots used now in the West. By now, you’ve learned a lot about tea and we can only help you on your journey into the world of teas by offering you the highest quality tea for your drinking pleasure. But we encourage you to turn your own tea drinking occasions into special occasions by relaxing, reflecting on the history and beauty of tea. Sharing tea with friends as the Chinese and other Asian people do. The health benefits of tea can only be enhanced by the satisfaction and warmth we enjoy in the company of friends. Enjoying a cup of Oolong tea conjures up the Chinese countryside, lush and verdant, fragrant blossoms and glossy leaves swaying in the gentle breeze, and tea growers with baskets to their sides, bending to their tasks. Every oolong tea leaf is infused with that beauty and serenity, and that, along with its aroma and flavor, have made it one of the most popular teas in homes and restaurants today. There’s the reality of Oolong harvesting, but the legends of its origins, as well as how it came to be called oolong, change with every teller. What we do know is that oolong tea, a semi-oxidized, light to dark brown tea. Then began its history sometime between the 10th and 16th centuries in China. Whether a product of the Song dynasty or Ming, today we care only about its flavor and the beneficial qualities still available after its minor processing. Often, oolong tea is scented with night-blooming Jasmine blossoms over a period of several nights, when Jasmine is at its most fragrant. But not all oolongs are blossom-scented. Oolong tea comes in several varieties. The most popular are Wuji, Guan Yin and Taiwan. Wuji tea is a darker tea, unscented and very strong. It’s used in some recipes which require a robust taste. Guan Yin or Kuan Yin tea, is grassy and light, and is named for the Buddhist goddess of compassion or “She Who Hears The Cries Of The World.” Taiwan oolong is darker and very flavorful. There are other oolongs as well; your best bet is to try them all and find the one you like the best. Lighter and darker teas require different methods of preparation, but those instructions always appear on the label. So oolong tea tastes great! But what about its health benefits? As discussed earlier, the closer to natural, unoxidized tea leaves are left, the higher the concentration of antioxidants intact, specifically catechins, a kind of polyphenol. Black tea, the most highly processed, has the fewest catechins, since they are mostly lost during its long oxidation. Oolong in contrast, is allowed only a short oxidation, so while it doesn’t have as many catechins (including EGCG) as green or white tea, it actually has more non-catechin polyphenols and more theaflavin tearubigins, which is thought to be analogous to EGCG. Tearubigins are actually formed during the oxidation process. They have weight-loss and antioxidant properties only a little weaker than green tea and white teas. Also Ginger tea has many health benefits. Fewer scientific studies than those on green tea have been conducted into the benefits of oolong tea, but research is ongoing. The potential benefits of oolong tea, assuming the polythenols it does have are available to the body, are great. What is known at this point is that oolong tea shares many of the same benefits as green tea, such as the ability to lower cholesterol, mitigate against some types of cancer cells and so forth. In addition, the polyphenols in oolong tea can penetrate the brain barrier preventing some kinds of age-related and HIV, dementia. All teas have some health benefits in greater or smaller proportions. Experiment with their different flavors, enjoy tea with friends and loved ones, and allow the scent, the taste and the history of tea to calm you in a stressful world. Regardless of the tea you choose, it’s still a healthful beverage with lots of goodness in it. So to answer the question “Healthiest Herbal Tea” the answer is simple to a greater or lesser extent all teas have health benefits if taken in moderation. Just choose your preference and ENJOY!! !